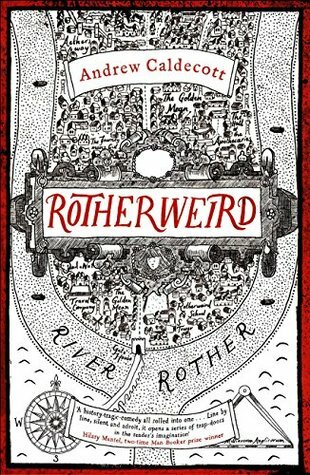 Rotherweird is an intriguing tale that caught my interest from the first page, and held it. I loved the aura of mystery that surrounded the town and its inhabitants, and the gradual discovery of the truth as we follow the characters on their quest for enlightenment about the forbidden history of the place. The world building and characterisation was excellent. The only thing that let the book down for me (resulting in four stars rather than five) was the ending. The main story concluded well, but Caldecott was then left with a number of smaller, unresolved threads. To get around this, he gathered the characters one last time and they discussed things, tying up loose ends. It worked, in that it resolved remaining questions; however, it felt anti-climatic since the main action was over. I would have preferred it if he'd found a way to work in these smaller resolutions with the main ending. But, that small gripe aside, it was a most enjoyable and captivating read that will certainly appeal to those who like their fantasy to have an historical twist.